Agro-pastoralist cattle keepers in five villages in Kilosa and Mvomero districts in Tanzania’s Morogoro region are set to become more commercial and reap huge benefits from milk sales following an agreement with a leading dairy processor to buy their milk. 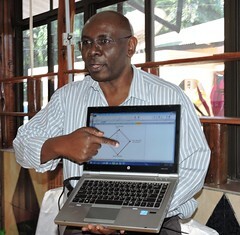 The agreement was facilitated by the International Livestock Research Institute (ILRI)-led MoreMilkiT project. 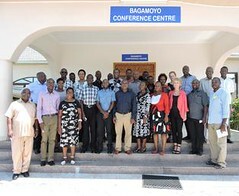 Under the agreement, which was reached in October 2015 between representatives of milk producer groups in the two districts and ASAS Dairies Ltd, the smallholder farmers will supply milk to the ASAS hub in Iringa region starting February 2016. The new arrangement will provide opportunity for farmers to deliver up to 1,000 litres of milk per day to the processor, providing a key market which was previously unavailable to individual farmers and farmer groups created by the MoreMilkiT project in the area. The MoreMilk iT project—which is funded by Irish Aid and is implemented by Sokoine University, Faida Mali, Heifer International Tanzania, the Tanzania Dairy Board and ILRI—is working with farmers in Morogoro and Tanga to pilot approaches to increase their use of inputs and services for more milk production and promote better milk market linkages to exploit new market opportunities arising from rising demand for milk and dairy products in Tanzania. Using a ‘dairy market hubs’ approach, the project brings together small-scale producers with common interests in enhancing their access to milk markets, inputs and services such as training and credit with milk as collateral. The farmers also use the hubs to network and find shared solutions to various other social challenges that they face. Under the new partnership, milk producers will benefit from a reliable milk market. 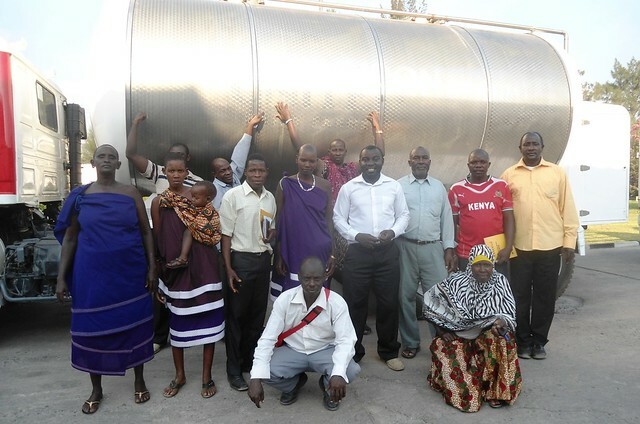 This will ensure sustainability and a steady flow of income for participating milk producers. ‘We want dairy farmers to recognize their role in supplying quality milk, even as we assure them of a ready market’ said Fuad Abri, the managing director of ASAS Dairies. Farmers groups from other areas that currently deliver milk to ASAS Dairies have benefited from a ready market for milk and the assurance of prompt payments, besides training opportunities and boreholes provided by the dairy. According to Abri, ASAS Dairies will, in February 2016, install a milk collection centre in Mikumi town, to help farmers in Kilosa and Mvomero deliver milk to an easily accessible central location. Tags: ASAS Dairies, MoreMilkiT. Bookmark the permalink.